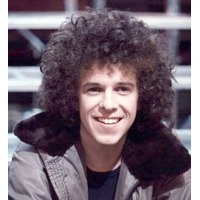 Leo Sayer (born Gerard Hugh Sayer, 21 May 1948) is a British singer-songwriter, musician, and entertainer whose singing career has spanned four decades. Sayer became a naturalised Australian citizen in 2009. Sayer was a top singles and album act on both sides of the Atlantic in the 1970s. His first seven hit singles in the UK all reached the Top 10 – a feat first registered by his one-time manager, Adam Faith. A consistently successful artist, from his first hit with "The Show Must Go On" in 1973 to the present day, Sayer has never been missing from the charts for longer than five successive years.